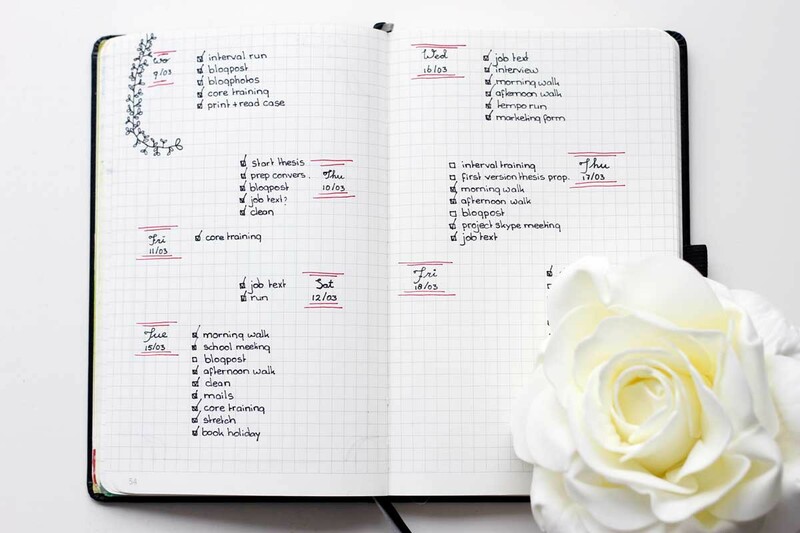 I’ve religiously used a planner since middle school, but lately I’ve been tempted by the hundreds of videos on social media featuring perfectly colored diagrams and pictures to plan your entire life. Bullet journaling is the art of taking a notebook and making it your own through doodles and aspects of a regular planner. It’s a place to “brain dump” and write quick notes. It’s a place to reflect and make goals for yourself. 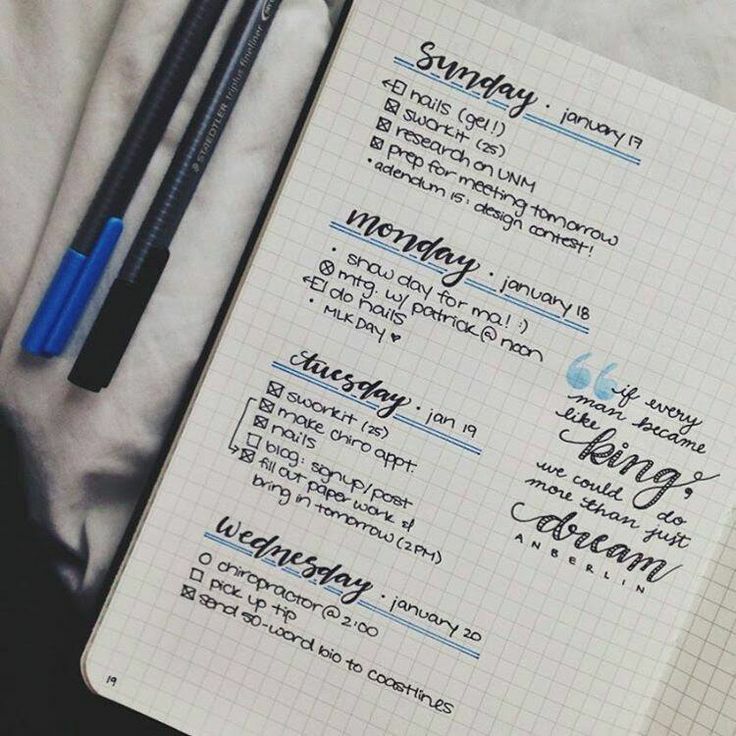 Bullet journaling is meant to be relaxing, never stressful and time-consuming. It’s essentially a grown-up version of those “wreck-it” journals from elementary school. My first reaction after seeing a bullet journal was literally, “who has time for that?” My bullet journal is now one of the most relaxing parts of my week. It gives me time to look ahead, decompress and prepare. Make it your own and don’t feel pressured to match all the artsy Instagram posts. This is your space, make it useful and unique! There’s no reason to go out and buy one of the fancy bullet journaling kits online. Buy a cheap notebook with gridded paper to keep lines clean and easy to follow. Use art supplies laying around your room like highlighters and markers to really personalize it. Almost every video features a habit tracker. That doesn’t mean you need one. If you want a page of random notes, that’s totally fine. I have a designated monthly braindump page to write everything from quotes I find that I love to emails of people I network with. Currently, my favorite page in my journal is my holiday shopping list. It’s keeping me from impulsively buying and now I’m sticking to an actual budget (Yay, adulting!). The table of contents is key to any good bullet journal. It saves you time from aimlessly flipping through pages. Leave one to two pages free for this and periodically update it. Yes, those gorgeous layouts are tempting, but they’re also time-consuming and usually done by professional artists. Don’t feel like you need an art degree to do this, though. I use different colored pens to make it fun but I can barely draw a decent circle, let alone a pumpkin or intricate snowflake. Pro tip: Write deadlines and assignments in pencil because they change so often. I have an unhealthy love for stickers. It’s a cheap and quick way to personalize my journal with minimal effort. You can find big discount packs online that will last you the entire year from places like Me and My Big Ideas or Erin Condren. Courtney is a senior at George Mason University studying forensic psychology and criminology. She serves as Editor-in-Chief for Her Campus George Mason and is also a Her Campus National Chapter Advisor. She graduates in December of 2018 and will be starting her Master's in Criminal Justice this spring at Mason. The motto she lives by: "Put your hair up in a bun, drink some coffee and handle it."